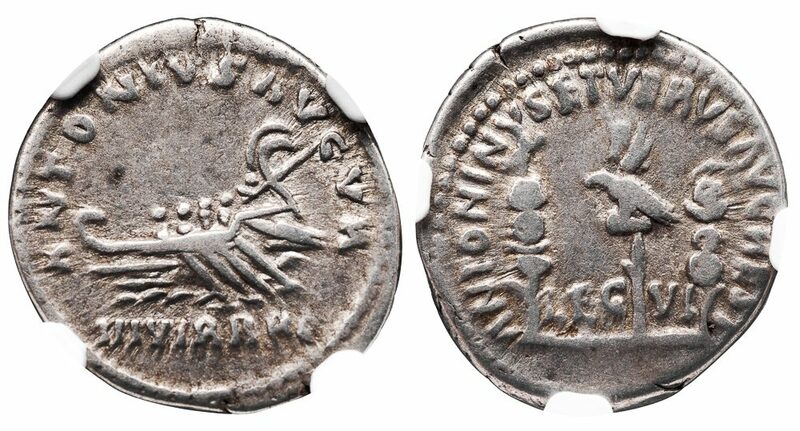 Silver denarius, 3.37 g., 20 mm. 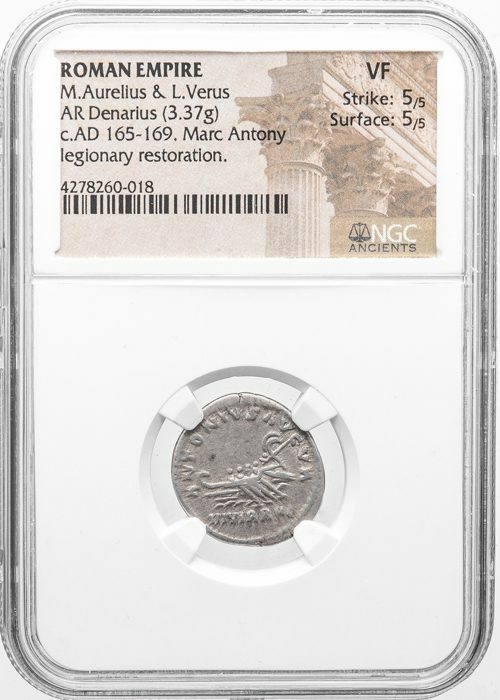 Marc Antony legionary restitution issue struck in Rome. Rev. Aquila between two signa (standards), LEG VI between. RIC 443 (for Marcus Aurelius). NGC graded VF, Strike 5/5, Surface 4/5.